Bitcoin Bank Cycler provide no information on their website about who owns or runs the business. The Bitcoin Bank Cycler website domain (“bitcoinbankcycler.com”) was privately registered on January 25th, 2017. Bitcoin Bank Cycler has no retailable products or services, with affiliates only able to market Bitcoin Bank Cycler affiliate membership itself. Bitcoin Bank Cycler affiliates purchase positions in a three-tier matrix cycler. Matrix sizes used in the Bitcoin Bank Cycler cycler are 2×1, 4×1, 8×1, 16×1 and 32×1. A 2×1 matrix places an affiliate at the top of a matrix with two positions below them to fill. Positions are filled via position purchases by new and existing Bitcoin Bank Cycler affiliates. When all positions in a matrix are filled, a “cycle” is triggered and a commission paid out. How much of a commission is paid out is determined by which tier of the cycler a position has cycled out of. Bitcoin Bank Cycler offer three tiers; Silver, Gold and Platinum. A Silver position purchase costs 0.028 BTC and provides a 0.0022 BTC Silver cycler position each week for ten weeks. A Gold position purchase costs 0.07 BTC and provides a 0.058 BTC Gold cycler position each week for ten weeks. A Platinum position purchase costs 0.13 BTC and provides a 0.0108 BTC Gold cycler position each week for ten weeks. Each Silver, Gold and Platinum position purchase generates referral commissions and a matching bonus. Bitcoin Bank Cycler affiliate membership requires the purchase of a Silver 0.028 BTC, Gold (0.07 BTC) or Platinum (0.13 BTC) subscription every ten weeks. The only source of revenue in a cycler is affiliate investment in positions. The use of this revenue to pay cycle commissions (which are effectively a ROI on investment into a position), makes Bitcoin Bank Cycler a Ponzi scheme. Despite the obvious fraudulent nature of its business model, Bitcoin Bank Cycler claims it’s above board. Is BitcoinBankCyler an Hyip,Ponzi,Pyramid or an illegal scheme? We sell Products including advertising services. Whether “products” or “advertising services” are bundled with Ponzi cycler positions is irrelevant. Using newly invested funds to pay off existing investors is still financial fraud and illegal the world over. 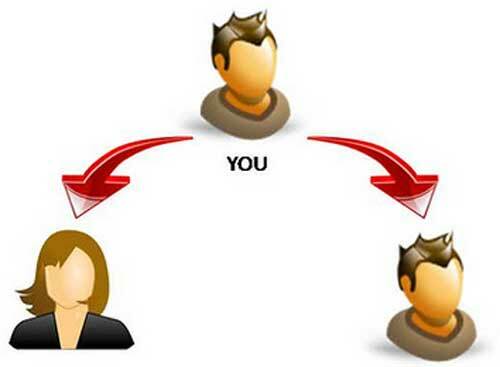 In a cycler Ponzi, once affiliate recruitment dies down so too do position purchases. New position purchases in Stage 1 of the cycler are required to push positions through all tiers. Of particular note is the Silver cycler tier, which generates fifty-one phantom positions at Stage 5. It will only take a few cycled positions out of Stage 5 (preloaded by the admin) to completely flood the Silver tier. These positions starve the system of revenue because they withdraw from the system without contributing new funds. Company-wide if position purchases drop too much or cease altogether, matrices within the cycler stall and the scam collapses. This sees the majority of affiliate lose money, with the anonymous Bitcoin Bank Cycler affiliates also making off with funds attached to uncycled positions.